Family Pages: Book Launch for "History of the Wicht Family And Their Farm Blouwaterbaai"
Book Launch for "History of the Wicht Family And Their Farm Blouwaterbaai"
We are delighted to announce that the book "History of the Wicht family and their farm Blouwaterbaai in Sal­danha Bay 1943-2003" is now available as a (limited edition) hard copy for sale. It is also available as ibook on the family website (www.wicht.co.za) where you can read it at your leisure. 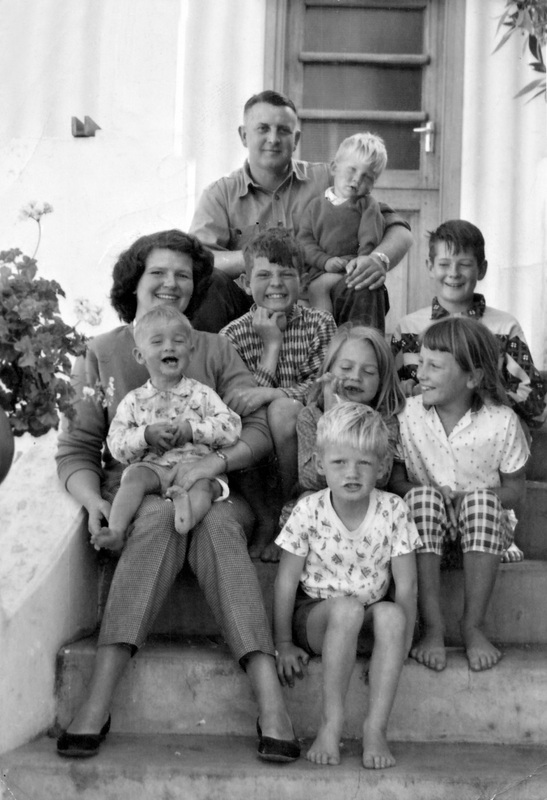 To celebrate the nearly 60 years the Wicht family have lived on the farm, you are invited to join us at Blouwaterbaai on the 4th of June for a riotous lunch-time book launch. Alethea Wicht and her band 'Lady Bass' (www.ladybass.co.za) will be in attendance to regale us. To attend, please RSVP to jolene@wicht.co.za. For those of you who might consider travelling from afar, the family farm is now an exquisite seaside hotel and is offering a special rate for the occasion (www.blouwaterbaai.com). The book is a testament to the adventures of Henry and Babeta Wicht on the derelict seaside land they bought in 1953 that finally realized their dreams of a family farm with a river running through it and a view of Table Mountain. While on war leave from Egypt during WW2, Henry visited his father who was stationed in Saldanha Bay. He fell in love with the small fishing village and immediately brought his new bride to do some house hunting. Despite howls of protestations from family and friends, they used all their savings to buy a dilapidated house perched on sand dunes, overrun by snakes and spiders, with an endless stretch of private beach, in the sheltered bay of Saldanha. They moved onto the property in 1958 with their 6 young children, and soon begat 3 more. With no money to speak of (other than a meager salary as a military officer) but armed with plenty of faith, hope and probably a little bit of charity, they slowly build a magnificent family home and prosperous farm on the water's edge. The chapters in the book cover the full gambit of their life on the farm, from their struggles to make the farm pay prior to the discovery of the manna from the sea that washed up on the beach, to the first Sea Harvest Festival in 1960, the building of the family restaurant Meresteijn, and chapters from all 9 siblings with their recollection of life on the farm. The creation of this book is an amazing tribute to the tenacity, spirit and determination of Jolene Wicht who, in taking her cue from Henry and Babeta, just did it! “I hope you enjoy the book as much as I enjoyed reliving their dreams, adventures, struggles and triumphs. I dedicate this book to my parents indomitable spirit who taught us that with faith and love, anything is possible. Also to all those who knew, loved and supported them on their journey; to my brothers and sisters; and to the next generations and the generations to follow – may this serve to anchor you in the long line of those who came before you, and on whose shoulders you now stand. Paul, the youngest Wicht sibling, enjoying his book.